I've always loved faerie tales, and the concept of faeries and fey. I believe that fey have some of the richest mythology and legends out of any other creatures out there, which means that it's very open to interpretation and change. Here are some of my favorite series about faeries. 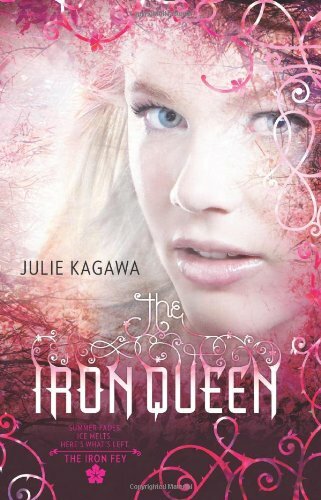 I've actually only read the first one, The Iron King, but it was so good that I am already addicted to the characters and the story. It's an entirely new spin on fey, and I love it! I have read the first 3 books in this series, and I really love it! They're all such a fairytale-esque books, very light and easy to read, but full of action and romance. I definitely recommend these for fans of fantasy. Are there any faerie books that you've read and really loved? Tell me about them! I'm always looking for more great fantasy books to read! Have you read any of the books I listed? What did you think of them? 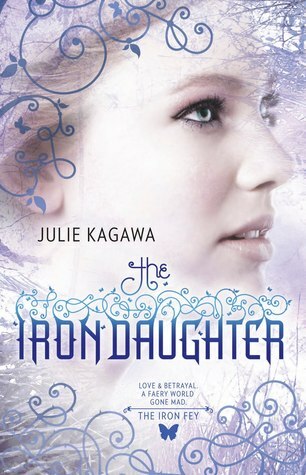 I have read all of Wondrous Strange and 2 of The Iron Fey and really liked them. I love fey :) My first love was vampires (at three) but my love of fairies followed soon after. The Iron Fey series is a favorite of mine but I think my ultimate favorite fey series is Wicked Lovely though (sorry you didn't love the first book). I actually just finished Darkest Mercy yesterday and it was great. I've read all of the Iron Fey Series and loved every second of it. I own the first two from Wondrous Strange, but have yet to read them. I've read The Spiderwick Chronicles by Holly Black and her other faeries series as well (Tithe, Valiant and Ironside) LOVED IT! I also own a few books form the Wicked Lovely Series by Melissa Marr, but have only read book one. I am looking forward to collecting the whole series as it sounds wonderful.